Eating a well-balanced diet is very important to live a happy and healthy life. However, when eating low-carb, you should also know the significance of eating a sufficient amount of healthy fats. 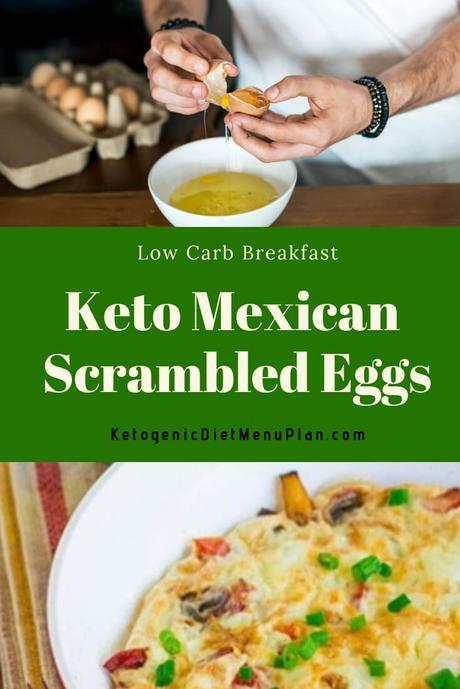 Fortunately, eggs are both high-fat and low-carb, yet by including some extra flavors and avocado or tomato for a deliciously smooth texture and extra fats, you can prepare Keto Mexican Scrambled Eggs for a proper meal that hits high notes of a low-carb diet. Adding chili can also be a very good addition as well as gives the recipe a delicious kick, it also helps in digestion and is packed full of vitamin C and can help to relieve headaches and muscle pains. Make scrambled eggs more energizing with the Keto Mexican Scrambled Eggs. Such a delicious breakfast will definitely satisfy your hunger and makes you happy. Why Include Eggs in Your Breakfast? Eggs are one of the most beneficial and most versatile foods on earth. One egg contains less than 1 gram of carbs and less than 6 grams of protein, making eggs a perfect food for a ketogenic lifestyle. Also, eggs have been shown to trigger the hormones that enhance the feeling of fullness and keep glucose levels stable, prompting lower calorie intakes for as long as 24 hours. It is vital to eat the whole egg, as a large portion of an egg’s nutrients are found in the yolk. The antioxidants, zeaxanthin, and lutein help to protect the health of the eye. In spite of the fact that egg yolks are high in cholesterol, devouring them does not raise the level of blood cholesterol in most of the people. The fact is eggs seem to modify LDL shape in a way that lessens the danger of heart diseases. How to Make Keto Mexican Scrambled Eggs? Here is a delicious recipe for making Keto Mexican Scrambled Eggs. 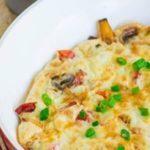 Make scrambled eggs more energizing with the Keto Mexican Scrambled Eggs. Such a delicious breakfast will definitely satisfy your hunger and makes you happy. Chop the jalapenos, tomatoes, and scallions very finely. Fry these in butter for 2 to 3 minutes on medium flame. Beat the eggs and pour into pan. Scramble the eggs for 2 minutes and add cheese and seasonings. This delicious Mexican scrambled eggs mean there truly is no reason for not having a deliciously prepared breakfast even on the busy mornings. Keto Mexican Scrambled Eggs is ready to serve. Enjoy your delicious Keto Mexican Scrambled Eggs.